JAMA Psychiatry has retracted and republished a paper on a cutting-edge procedure for patients with obsessive compulsive disorder. In the original paper, the authors claimed that three out of eight patients who underwent a procedure that used gamma rays to kill brain cells showed improvements 12 months later (versus zero in the group who underwent a “sham” procedure). But after a reader noticed an “inadvertent” error in the calculation of how many patients had improved, the authors realized that only two of the patients had responded meaningfully to the procedure. 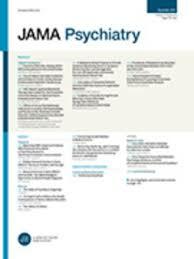 The new results “did not reach statistical significance,” the authors write in a “Notice of Retraction and Replacement.” JAMA Psychiatry published it yesterday, along with a new version of the article, a letter from psychiatrist Christopher Baethge pointing out the error, and an editorial. The original article is available in the supplemental material of the new version, with the errors highlighted.